this T-Light Candle stand will be adored by all those who get mesmerized by the shear beauty of parrot. 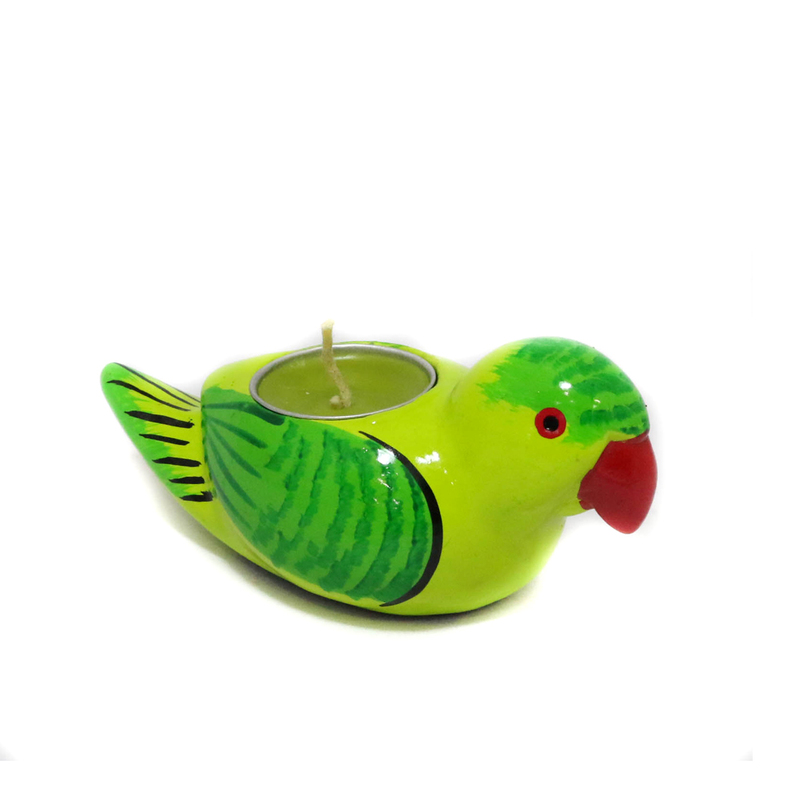 The candle is made pf terracotta Read More..and then painted in green colour to illustrate this pretty bird. The candle is present at the top portion of the bird and the body itself acts like a stand. Show Less..